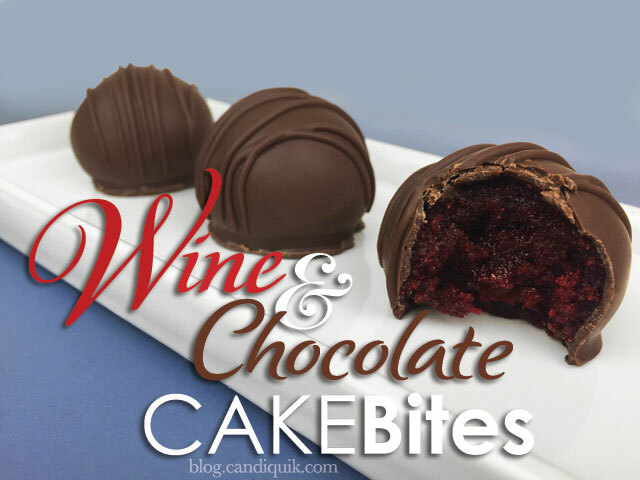 Bake cake according to package directions, replacing water in recipe with equal amounts red wine. Cream butter with mixer and gradually add powdered sugar until mixed well. Stir in ¼ cup red wine. Crumble cooled cake into large bowl. Add ½ cup frosting and mix thoroughly. Add more frosting if cake is crumbly and won't stick together. Roll cake and frosting mixture into 1" sized balls. Chill for approximately 30 minutes in the refrigerator.